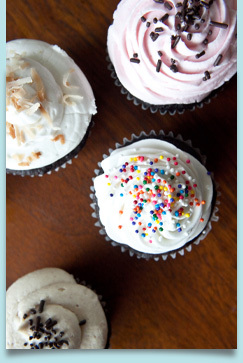 We can make any of our dairy and egg-free desserts for birthdays, weddings, anniversaries, or any other special event. Simply fill out the form at right with your name, phone number, email address, and a short note. We'll be in touch to review your order, explain delivery or pick up details, and discuss pricing. Unfortunately, we don't have the kitchen facility to make gluten free products at this time.